If English is not the student’s first language, they will be required to provide a language test before they can start their studies. • Course Level: Scholarships are available to pursue Postgraduate Taught programme. • Scholarship Award: The scholarship is awarded as a tuition fee discount. • Nationality: Nigeria students are eligible to apply for the scholarship. • Number of Scholarships: 4 Scholarships are available. English Language Requirements: If English is not a student’s first language, they will be required to provide a language test before they can start their studies. How to Apply: Applicants will be automatically assessed for a scholarship based on academic merit and nominations will be made by International Officer – Ajoke Olakunle. The Mastercard Foundation has partnered with the University of Cape Town (UCT) to provide 338 scholarships over 10 years to academically talented yet economically disadvantaged students from Sub-Saharan Africa for study at UCT. For 2019 academic year, 50 scholarships opportunities are available (24 Undergraduate, 16 Honours and 10 Masters). Academically talented, must value learning and be driven to complete their education. Committed to giving back to their own communities once studies are completed, to return to their home countries and take a leadership role in promoting social and economic improvement. Citizens and residents of a Sub-Saharan African country. Wanting to study at undergraduate or postgraduate level (Masters by research and coursework or research Masters, only). Honours applicants will be considered from 2016. Applying to study in the fields of Commerce, Engineering and Built Environment, Health Sciences, Humanities, Law or Sciences at the University of Cape Town. All prospective Scholars must first be admitted to the University of Cape Town to be considered for the Scholarship. Although each academic department has its own criteria, a minimum of 60% for the Honours, or equivalent degree is the overall academic criterion required for entry into the Masters’ degree. Preference will be given to ‘first-generation’ students, i.e. those who are the first ones in their families to go to university. The Mwalimu Nyerere African Union Scholarship Scheme was launched in 2007 with the aim of contributing to the production and retention of high caliber African human capital for sustainable development of the continent in critical development areas, while promoting regional integration through intra-Africa mobility of students. The African Union Commission is offering a Call for Scholarship Applications (For Female Applicants Only) for Masters and PhD Programmes in Science, Technology, Engineering and Mathematics (STEM). 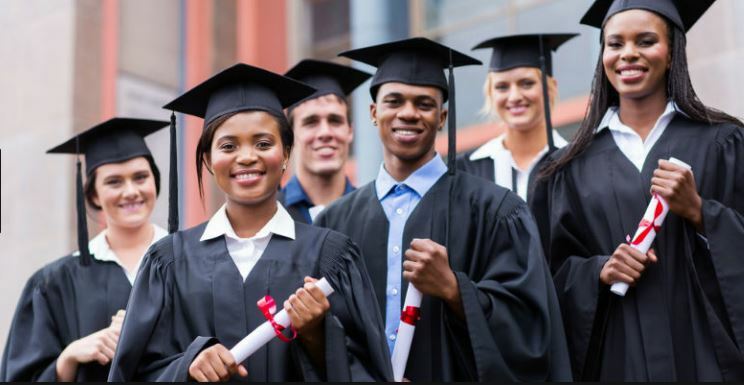 The Scholarship Scheme is intended to enable young Africans to study in reputable African Universities with a binding agreement that beneficiaries will work in any African country for at least the same duration of scholarship period after graduation. Course Level: Scholarships are available for pursuing Masters and PhD Programme. Study Subject: Scholarships are awarded in Science, Technology, Engineering and Mathematics (STEM). Air ticket: A round-trip economy fare for the most direct route between the beneficiary’s home country and the study destination of host Institute. Travel Allowance: One-off payment of 250 US$ to contribute towards ground transportation from airport and settling-in costs One-off payment of 350 US$ to assist with shipping and other terminal expenses; upon departure from the host Institution after successful completion of the study. Computer Allowance: One-off payment of 1,000 US$ for the purchase of laptop computer and accessories. Eligible Countries: Female citizens of an African Union Member State are eligible to apply. Be under the age of thirty-five (35) years for Masters Programmes and under forty (40) years for PhD Programmes. Have proof of admission to undertake a full-time Masters or PhD programme in a recognized university of an African Union Member State. Be willing to commit to work in an African Union Member State on completion of studies for at least three (3) years. English Language Requirements: Applicants must scan and produce electronic copies of all the above documents (converted to PDF format) and send via email. Summarized CV with names and contacts of two referees. Two (2) Reference Letters with contact addresses. Applicants must scan and produce electronic copies of all the above documents (converted to PDF format) and send via email. 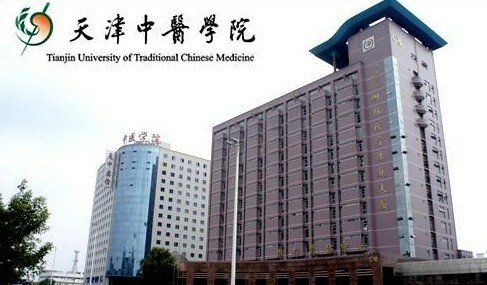 Tianjin University of Traditional Chinese Medicine is the name of a university in Tianjin, China under the municipal government. As the name implies, it specializes in traditional Chinese medicine. Established in 1958, Tianjin University of Traditional Chinese Medicine (TUTCM) is one of the earliest universities of TCM in China and the only International University of TCM which is approved by State Education Committee (now Ministry of Education) in 1992. The University has extensive international exchanges and cooperation. It aims to cultivate international applied talents in the clinic with solid theoretical foundation and excellent clinical skills which make it enjoy a high reputation worldwide. For the year 2018 Tianjin University of Traditional Chinese Medicine is offering TUTCM Chinese Government Scholarship for non-Chinese citizens. Nationality: Scholarship is available for Non-Chinese Citizens. Eligible Countries: Scholarship is available for Non-Chinese Citizens. For Doctoral Applicants in Chinese Materia Medica: Master in Chinese Materia Medica, Pharmacy, Pharmaceutical Chemistry, Preparation, Pharmacognosy, Pharmacology or other related majors. Not exceeding 35 years old for master’s applicants and not exceeding 40 for doctoral applicants. English Language Requirements: Applicants must be Healthy and fluent in English. Online Application: Fill in the application form online. Please find the enclosed details of online steps. 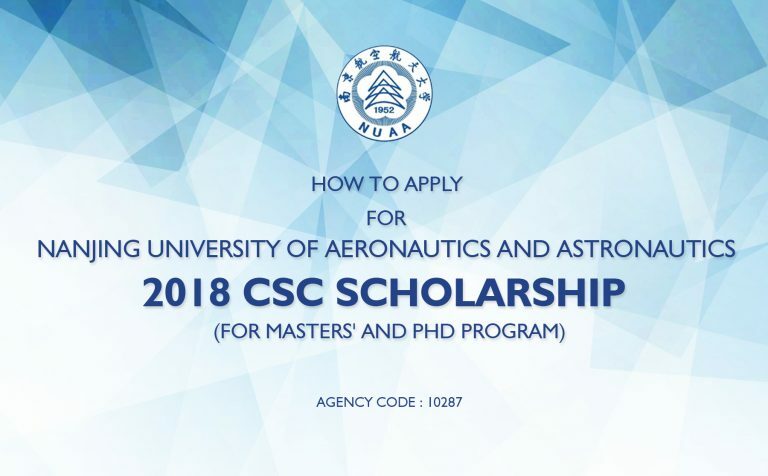 The new CSC scholarships for master and PhD programme is now available at Nanjing University of Aeronautics and Astronautics (NUAA) in China. This scholarship is available to the citizen of a country other than the People’s Republic of China. 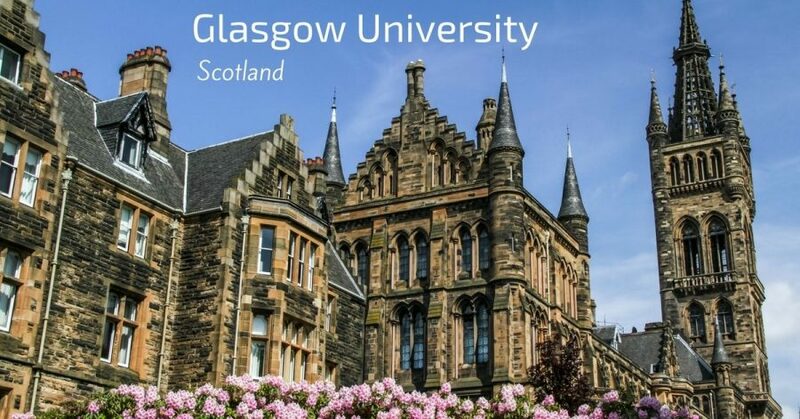 This is a full scholarship for designated Chinese universities and certain provincial education offices in specific provinces or autonomous regions to recruit outstanding international students for graduate studies in China. It only supports postgraduate students. Being established in 2005, College of International Education is one of the first institutes in China to accept international students. As one of the leading universities in Aeronautical Engineering, Mechanical Engineering and International Business of China, NUAA sets up 5 special Bachelor-degree programs for international students and all courses in these programs are delivered in English: Aviation Engineering, Mechanical Engineering, International Business, Software Engineering, Electrical and Electronic Engineering. Scholarship Award: This is a full scholarship. Nationality: Available to the citizen of a country other than the People’s Republic of China. Eligible Countries: Available to a citizen of a country other than the People’s Republic of China. -a master’s degree holder under the age of 40 when applying for the doctoral programs. Applicants may not receive any other types of scholarship. Applicants should have good academic performance and strong capacity in scientific research. Students who are currently pursuing their final year could also apply as long as they can obtain their graduation diploma before enrolling at the university. 5. Two Recommendation Letters; Applicants must submit two recommendation letters signed by a professor or an associate professor. Documents in languages other than Chinese or English must be attached with notarized Chinese or English translations. (You should submit two sets of bound documents). No application documents will be returned. The University of Nottingham is offering 105 scholarships for students starting full-time masters degree programmes in September 2018. Scholarships are available for full-time masters degree progammes in an area of study within the: Faculty of Engineering, Faculty of Medicine and Health Sciences, Faculty of Science and Faculty of Social Science. The aim of the Developing Solutions Masters Scholarship is to enable and encourage academically able students from Africa, India or one of the countries of the Commonwealth. 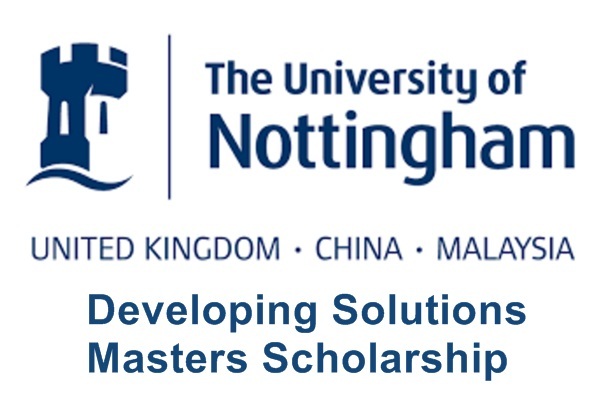 Course Level: Scholarships are available for pursuing masters degree programme at University of Nottingham. Study Subject: Scholarships are available for full-time masters degree programme, including MRes, at Nottingham for September 2018 in an area of study within the: Faculty of Engineering, Faculty of Medicine and Health Sciences, Faculty of Science and Faculty of Social Science. Number of Scholarships: 105 scholarships are available for 2018 entry. Eligible Countries: Students of Africa Africa, India, OR one of the countries of the Commonwealth can apply for these masters scholarships. *Anguilla, Antigua and Barbuda, Bangladesh, Barbados, Belize, Bermuda, British Virgin Islands, Brunei, Cayman Islands, Dominica, Dominican Republic, Falkland Islands, Fiji, Gibraltar, Grenada, Guyana, Jamaica, Kiribati, Malaysia, Maldives, Montserrat, Nauru, Nepal, Pakistan, Papua New Guinea, Pitcairn Islands, Samoa, Solomon Islands, Sri Lanka, St Helena, St Kitts and Nevis, St Lucia, St Vincent and the Grenadines, Tonga, Trinidad and Tobago, Tristan da Cunha, Turks and Caicos Islands, Tuvalu, Vanuatu. Introduction: All postgraduate students are encouraged to apply online using our online Applicants’ Portal. This allows you to attach supporting documents to your application form. The PTDF Scholarship Scheme for UK Universities will offer candidates the opportunity to benefit from a diversified pool of knowledge and the facilities offered by world-class institutions in the United Kingdom.For the academic year 2018/2019 Overseas Postgraduate Scholarship Scheme is available to pursue postgraduate (MSc and PhD) programme at the selected institutions and universities in the United Kingdom. PTDF scholarships are highly competitive and only candidates who are outstanding across the board are selected. The Petroleum Technology Development Fund (PTDF) was established by Act No. 25 of 1973 which repealed the Gulf Oil Company Training Fund Act. Prior to the establishment of PTDF, there existed the Gulf Oil Company Training Fund, the assets of which were transferred to the Fund upon promulgation of the Act setting it up. Course Level: Scholarship is available to pursue postgraduate (MSc and PhD) programme. Study Subject: For 2018, the scholarships to the UK will be restricted to select courses (available on the PTDF website) at the following universities: Imperial College, London; University College, London; Kings College, London; University of Birmingham; University of Nottingham; University of Southampton; Newcastle University; University of Manchester; University of Liverpool; Cranfield University; Robert Gordon University; Heriot-Watt University; University of Salford; Portsmouth University; University of Dundee. Scholarship Award: Under this scheme, candidates are invited to apply through PTDF to specific programmes at partner institutions in the United Kingdom (full list of sponsored courses is available below). The award includes the provision of flight tickets, payment of health insurance, payment of tuition and bench fees (where applicable) as well as the provision of allowances to meet the costs of accommodation and living expenses. Applications are invited for Santander and Aston University Masters Scholarships for the academic year 2018-2019. Three £5,000 scholarships are available for successful applicants entering any postgraduate full-time taught Masters programmes (including the MBA programme) at Aston University. For applicants from non-English speaking countries, it is necessary to have taken either the Test of English as a Foreign Language (TOEFL score of 101) or the British Council IELTS test- score of 6.5. Course Level: Scholarships are available to postgraduate full-time taught Masters programmes (including the MBA programme) at Aston University. 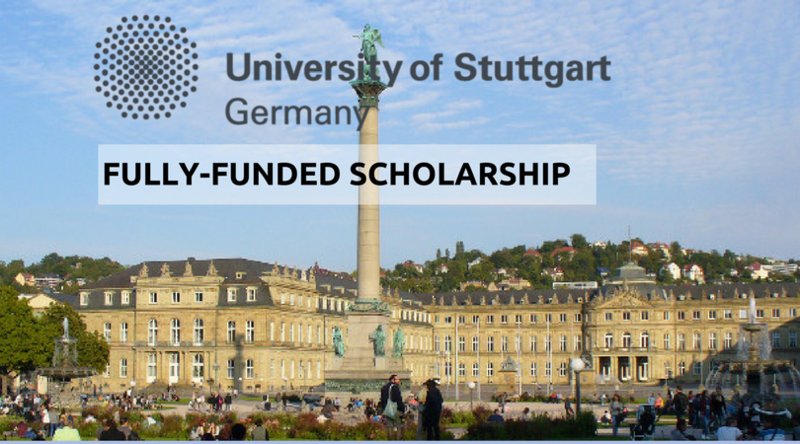 Study Subject: Scholarships are awarded in any of subjects offered by the university. 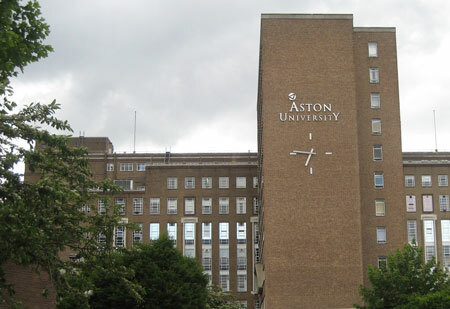 Scholarship Award: Three £5,000 scholarships are available for successful applicants entering any postgraduate full-time taught Masters programmes (including the MBA programme) at Aston University. Number of Scholarships: Three scholarships are available. 1. If you have an existing UK postgraduate qualification will not be eligible. 2. You must hold a conditional or unconditional offer for a postgraduate full-time taught Masters programme commencing at Aston University in September 2018. A minimum 2.1 / Upper Second classification in their undergraduate Bachelors degree in the UK. A minimum GPA of 3.0 (out of 4.0) in their undergraduate Bachelors degree from a overseas institution. How to Apply: To be considered for the Santander Scholarship please submit a 500 word essay on how the scholarship will help you to undertake your studies at Aston University and how you intend to use the knowledge and skills gained on the course on your return to your home country.